Cap Style Large to Std. 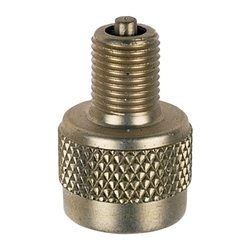 Bore Adapter Haltec 8807N-4 / BOWES HT 27-856. Adapts Large Bore valve down to Standard Bore. Fits over .485-26 valve cap threads.